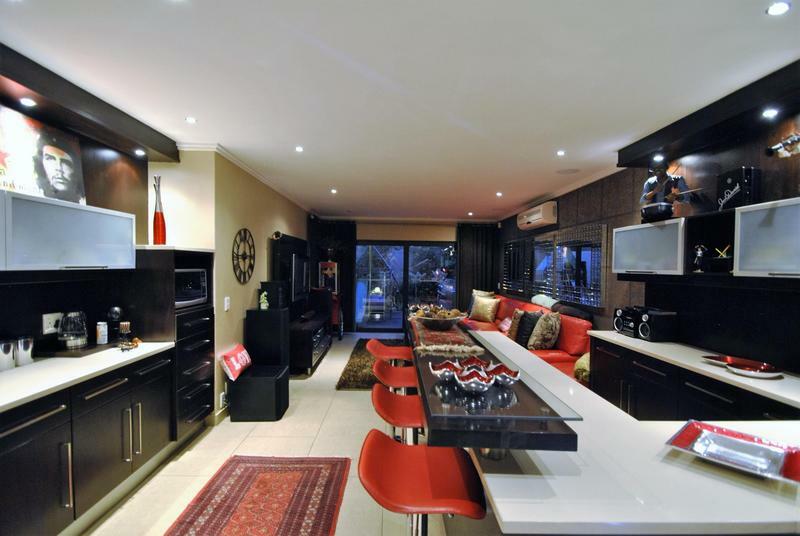 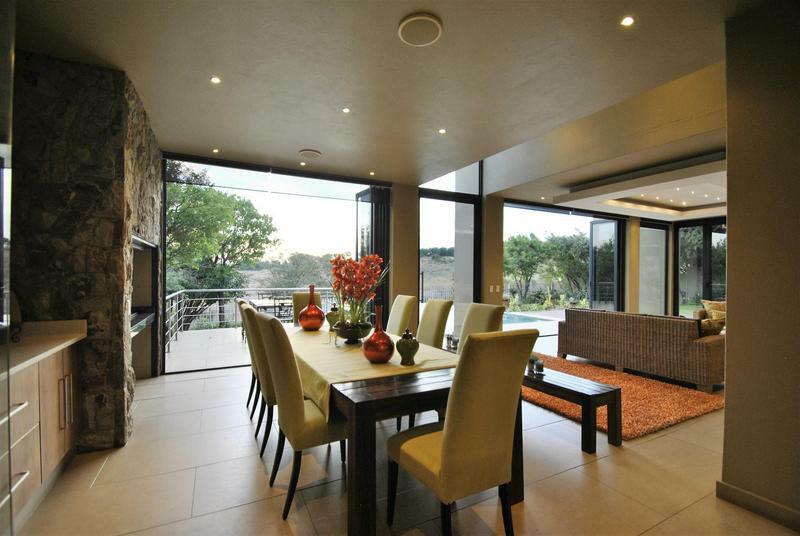 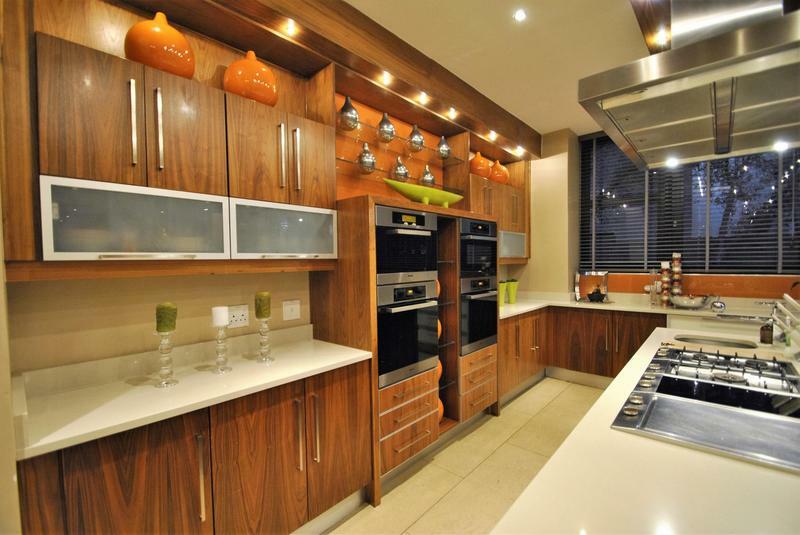 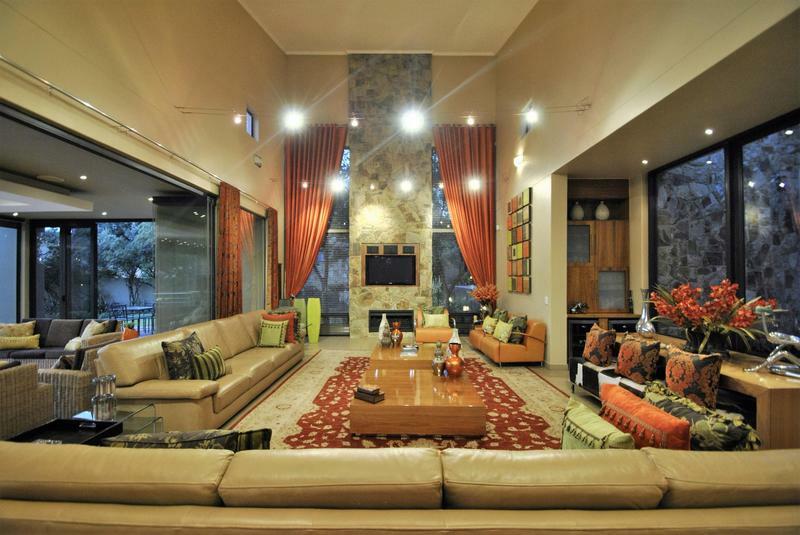 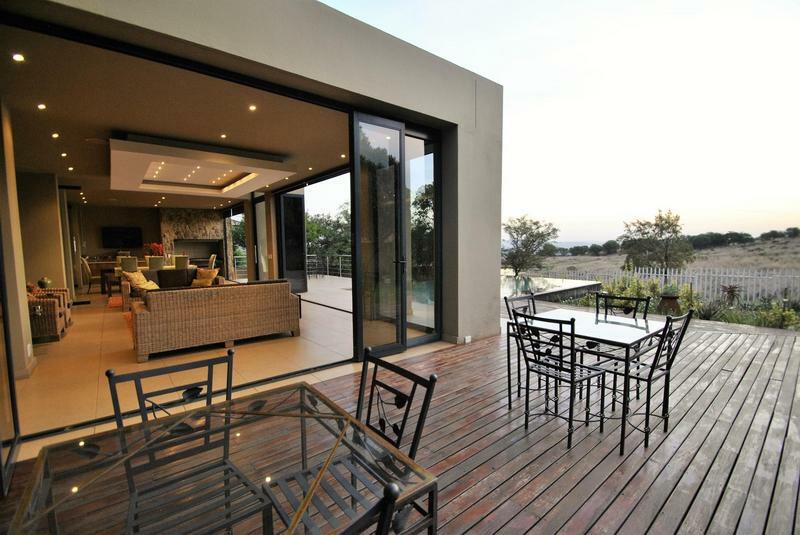 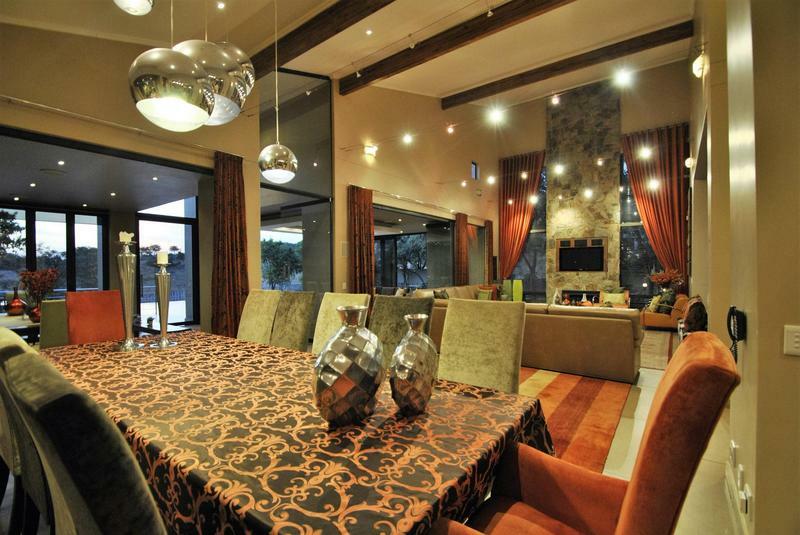 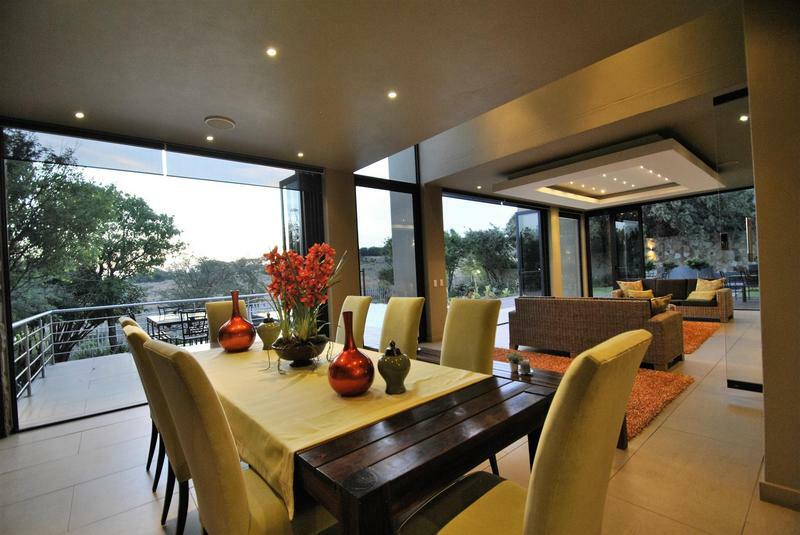 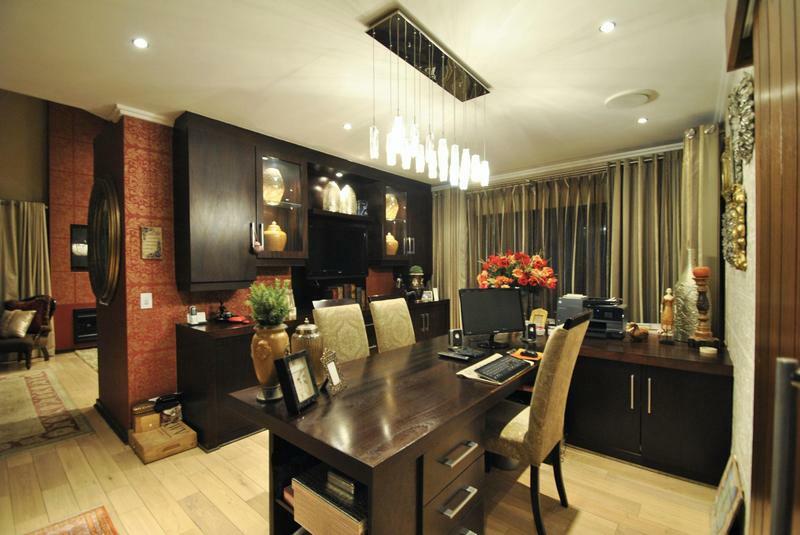 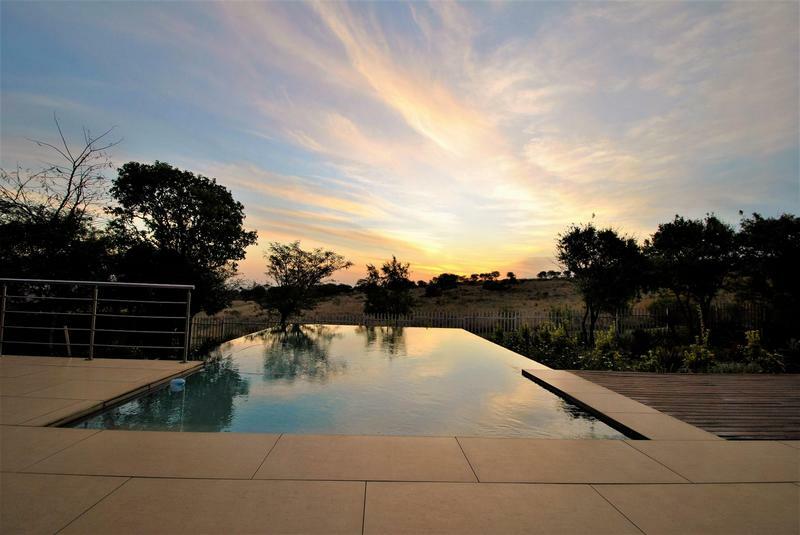 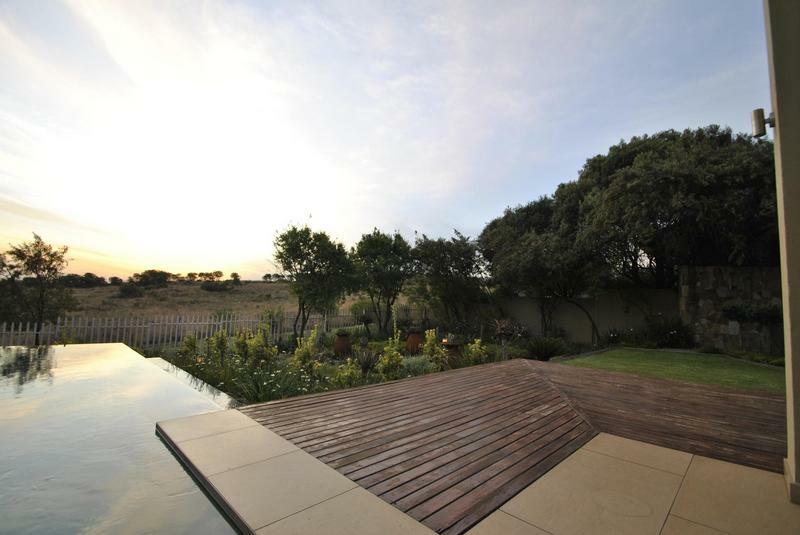 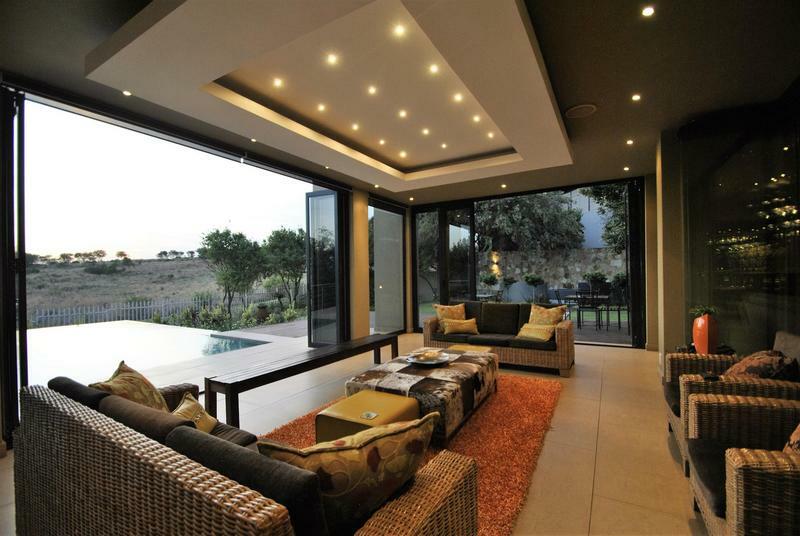 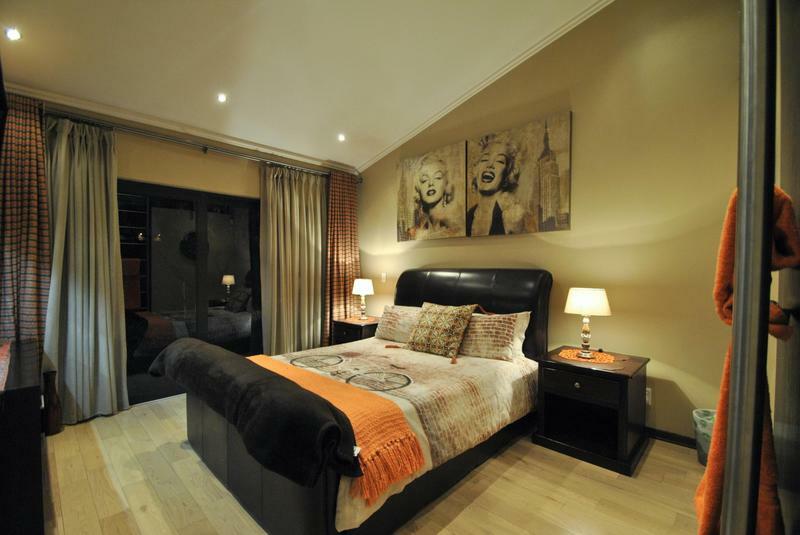 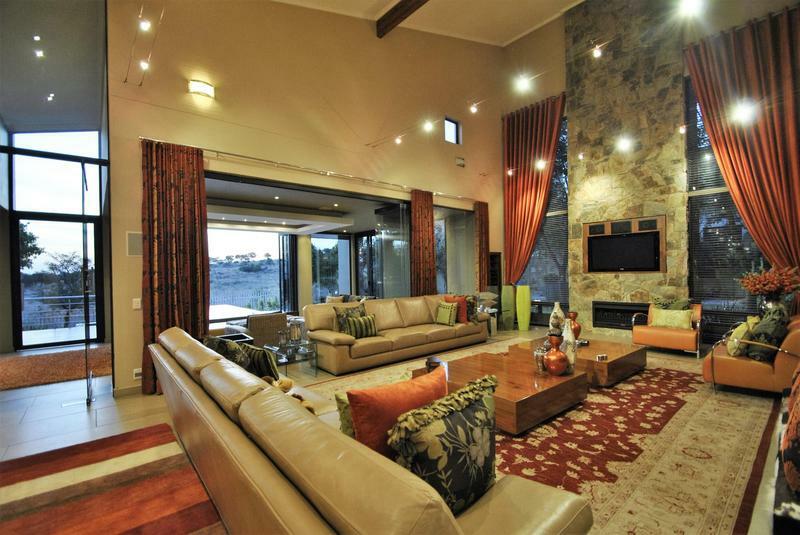 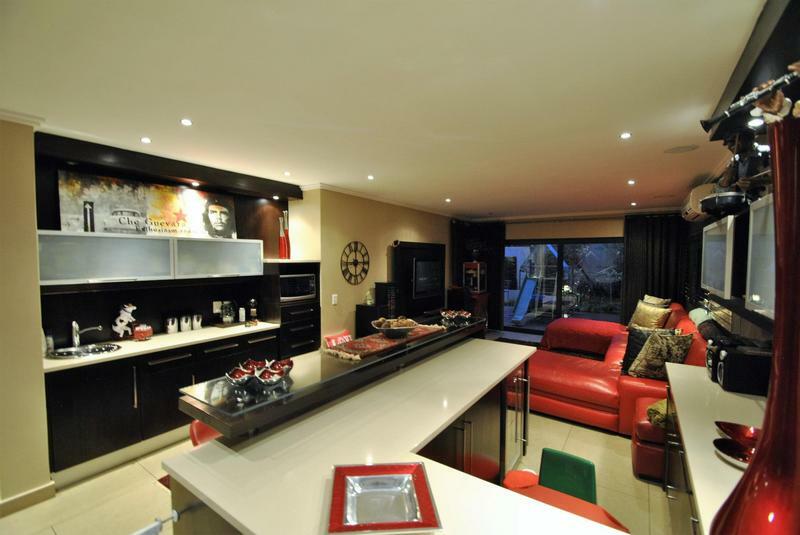 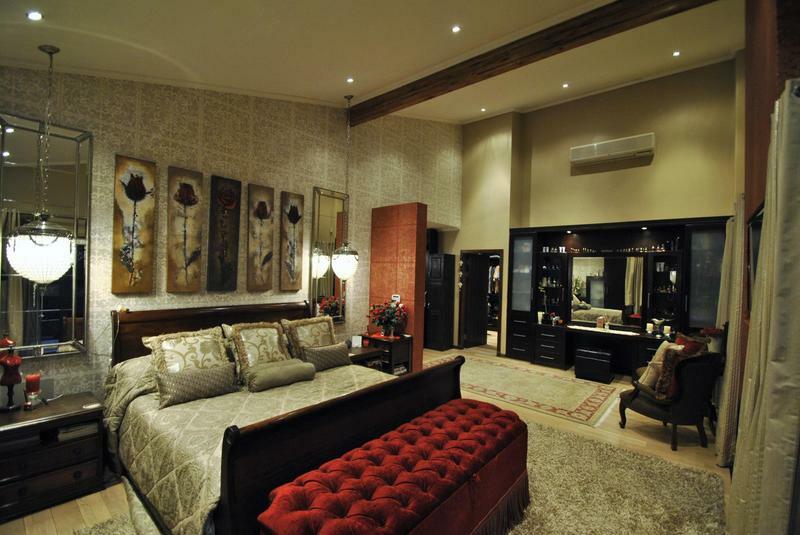 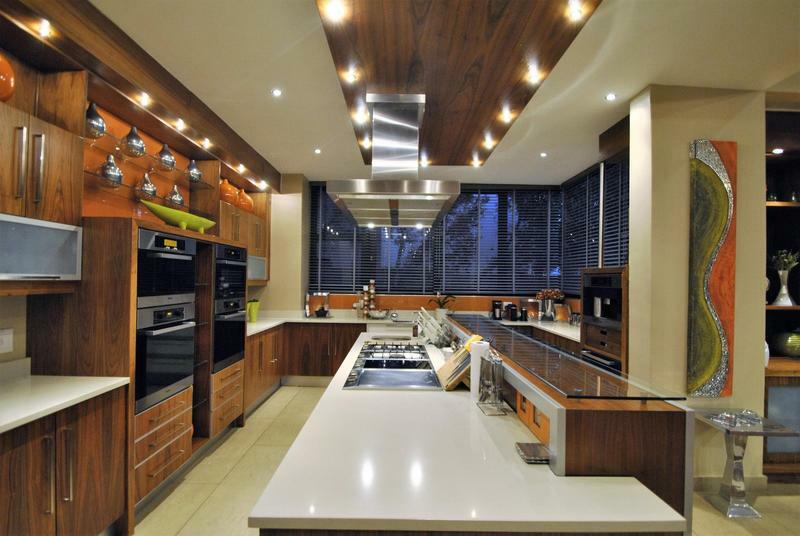 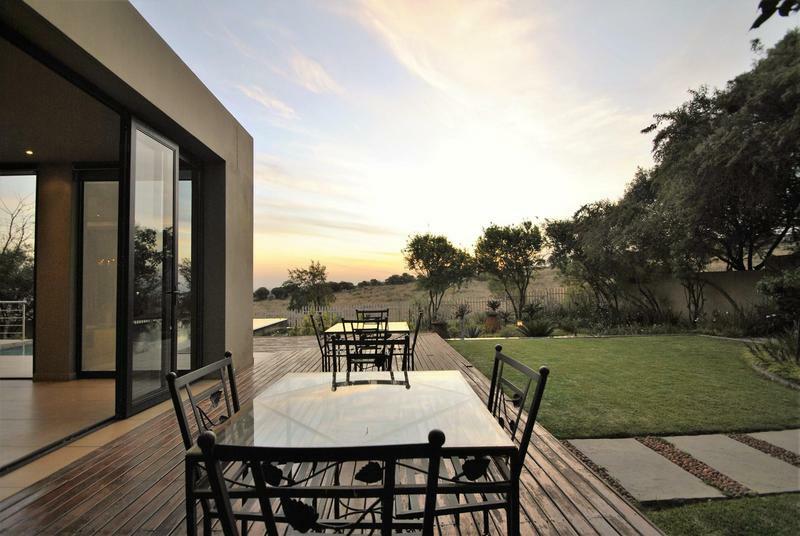 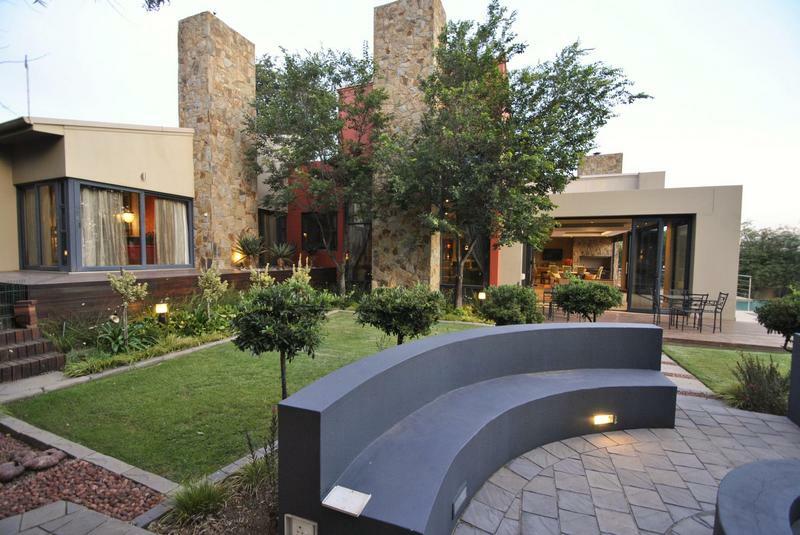 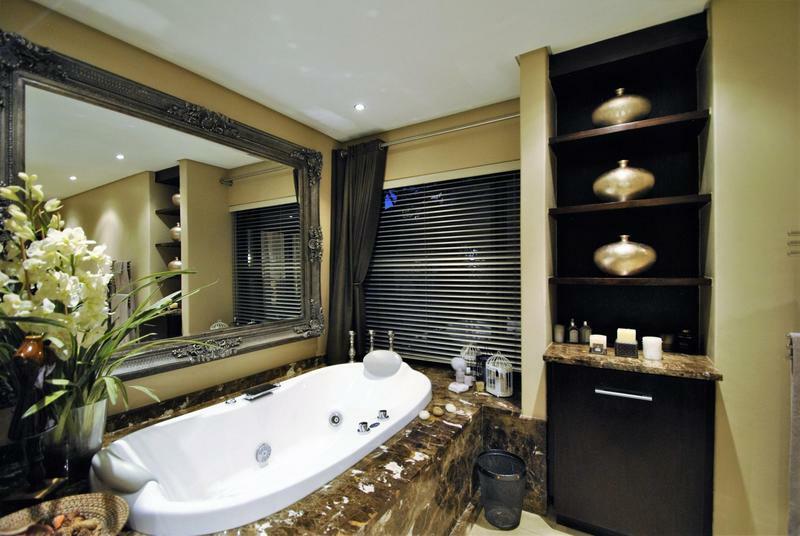 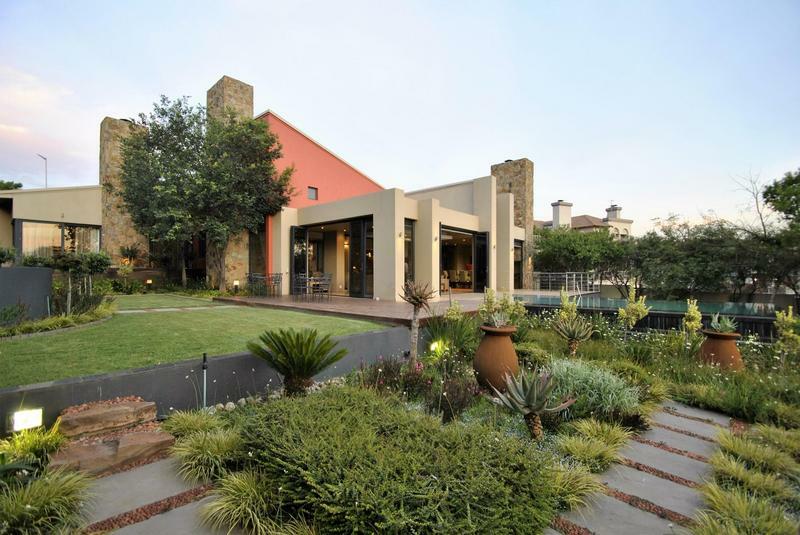 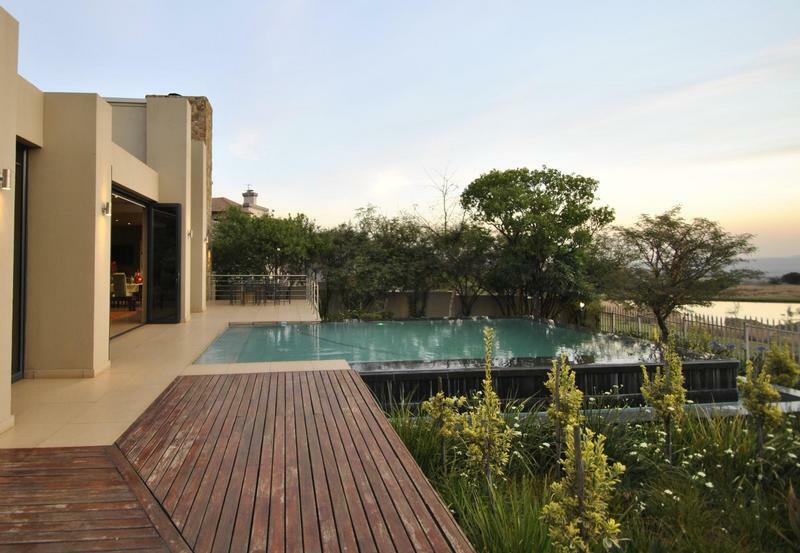 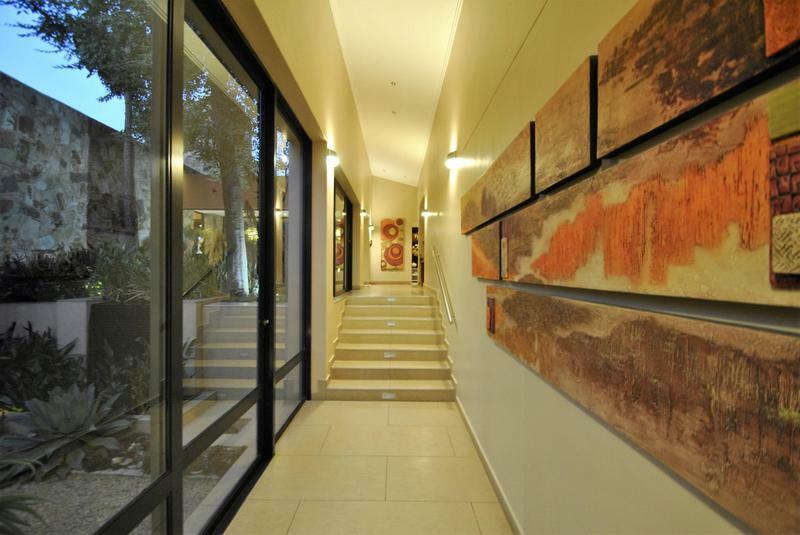 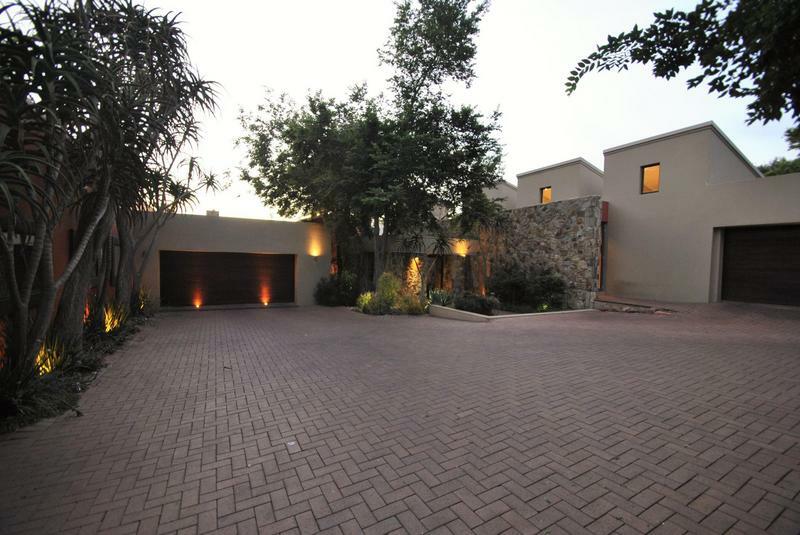 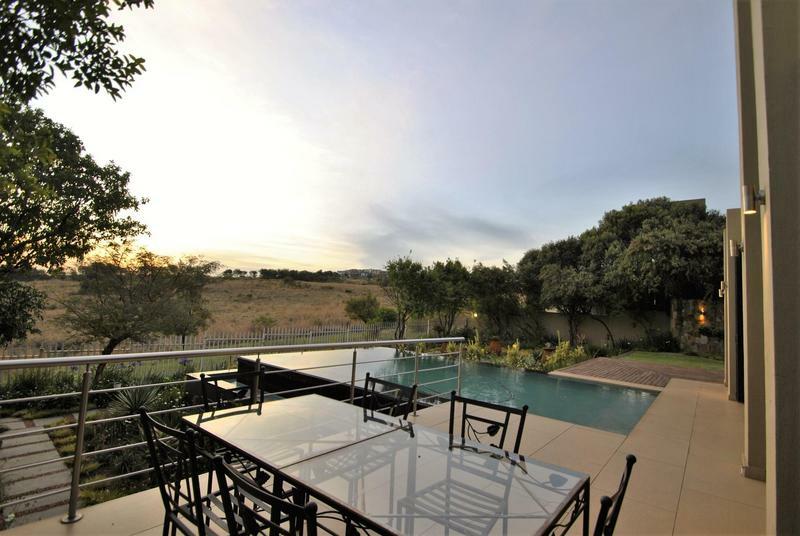 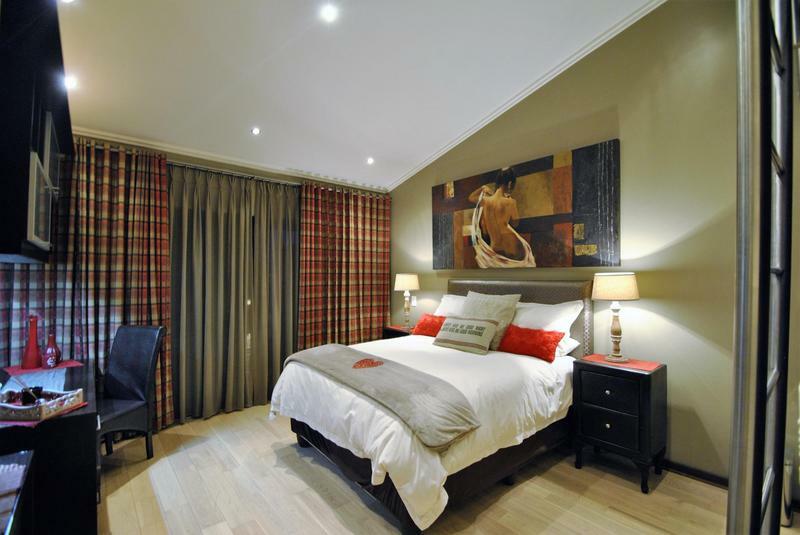 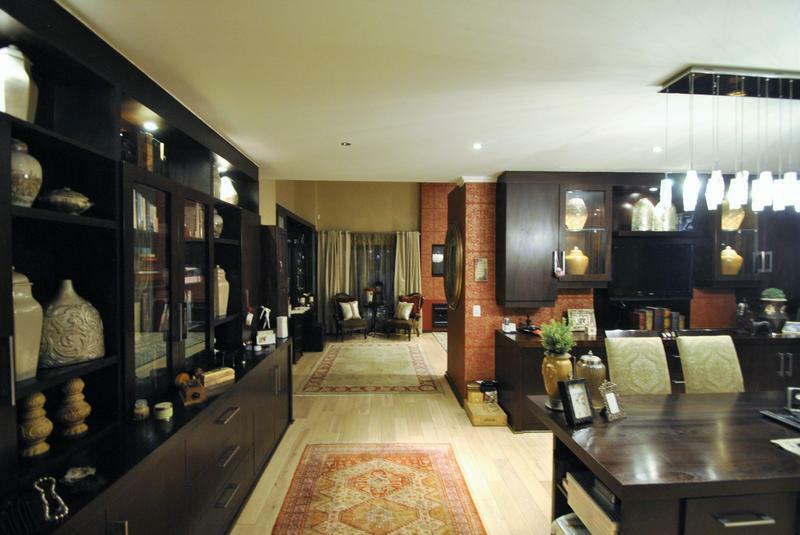 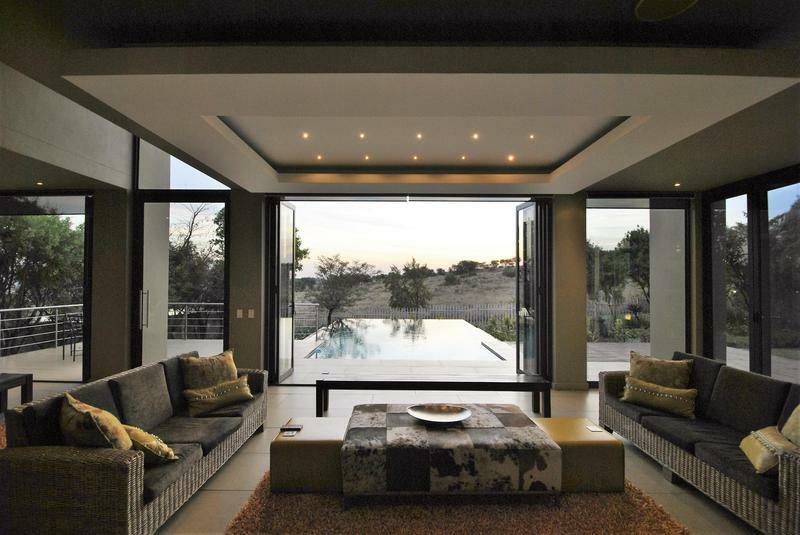 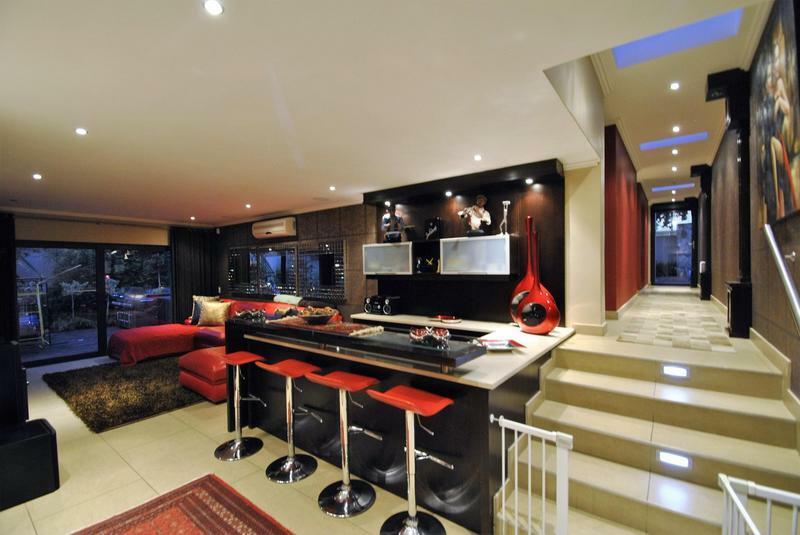 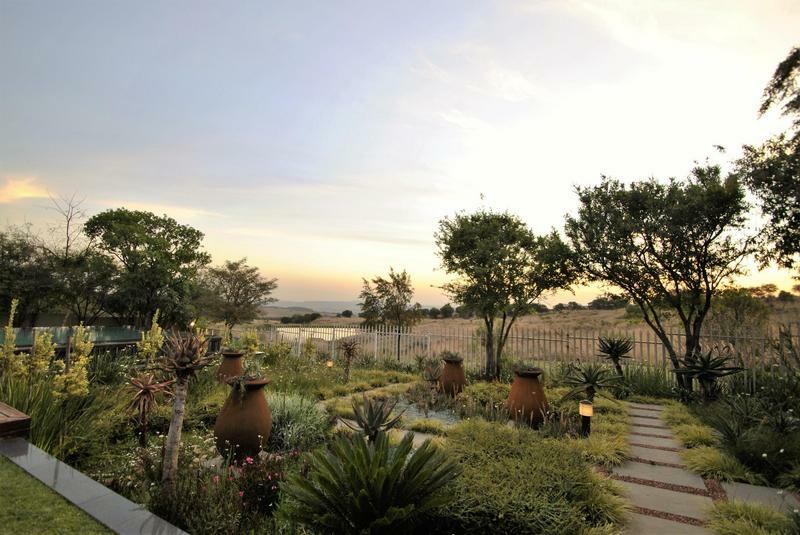 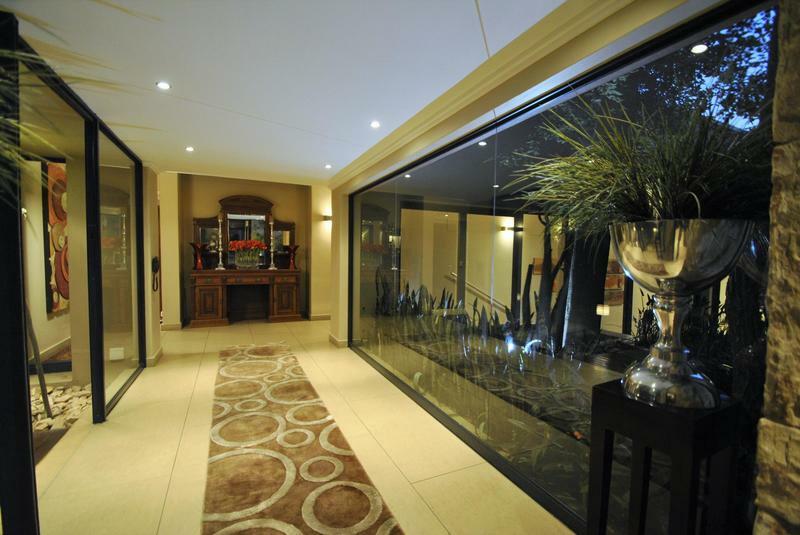 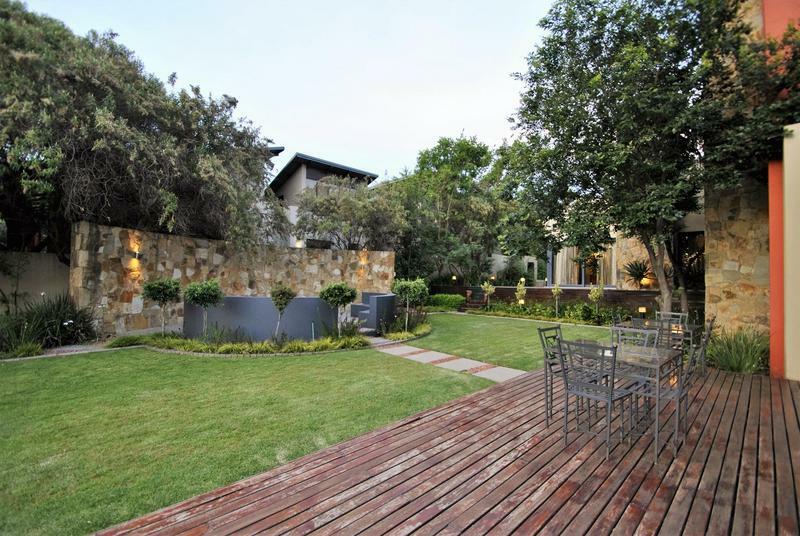 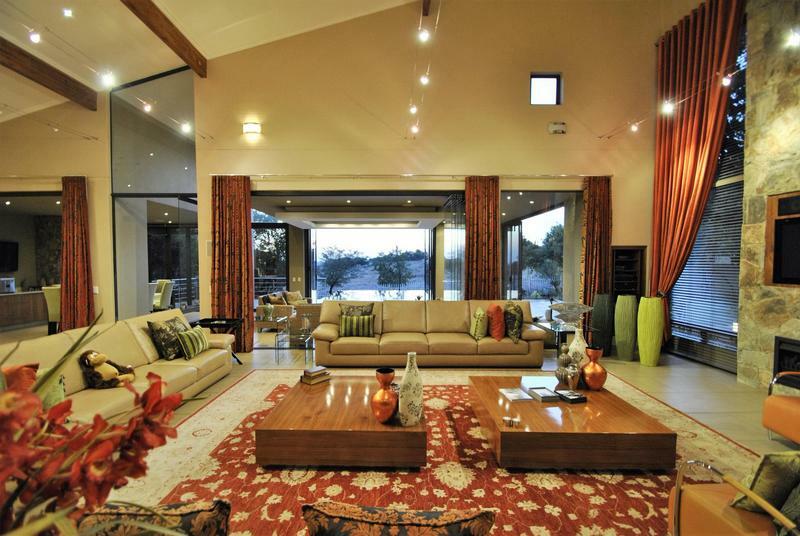 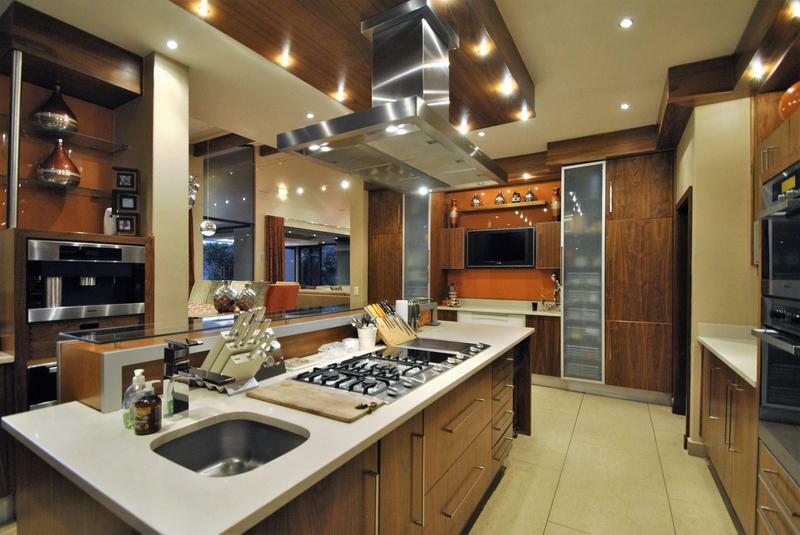 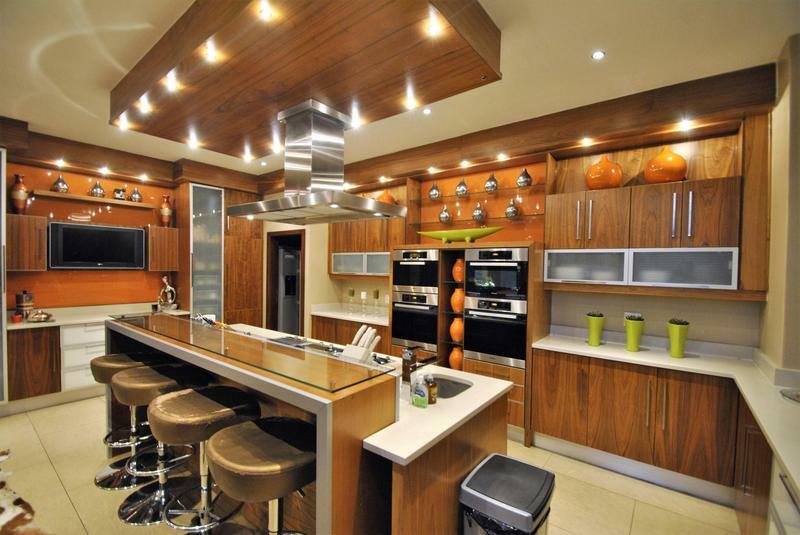 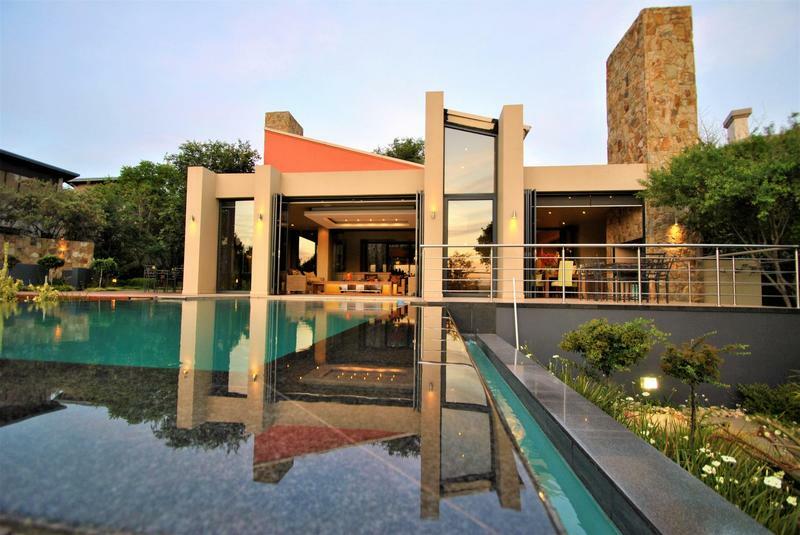 This home is situated in one of the most valuable positions in the eco estate on Roller street. 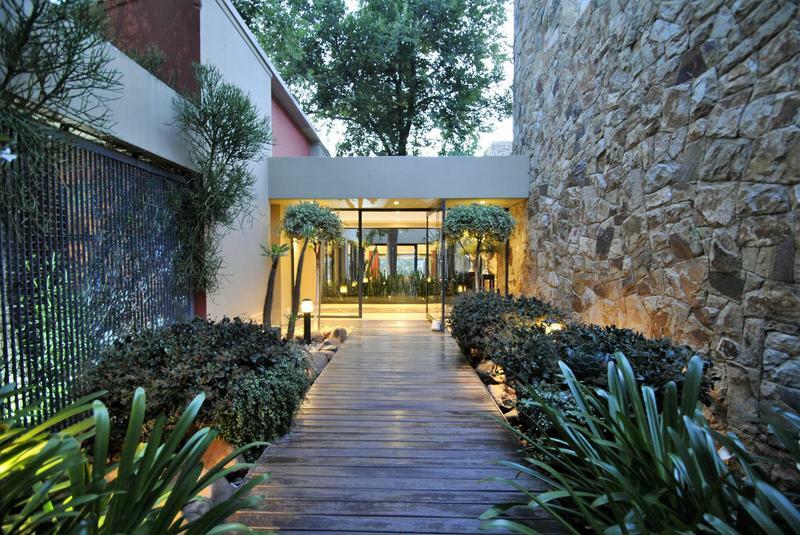 On entrance you are greeted by a pathway of tranquility and relaxation with your glass atrium which soothes the soul with the gentle sound of water and greenery. 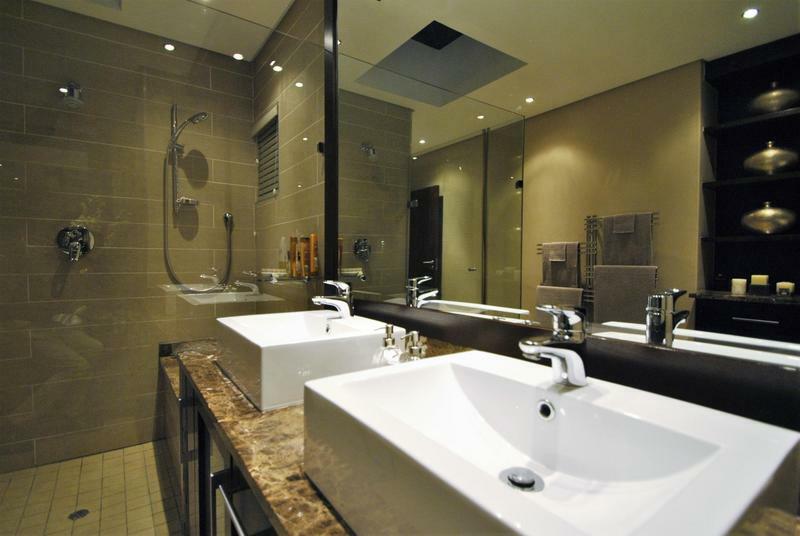 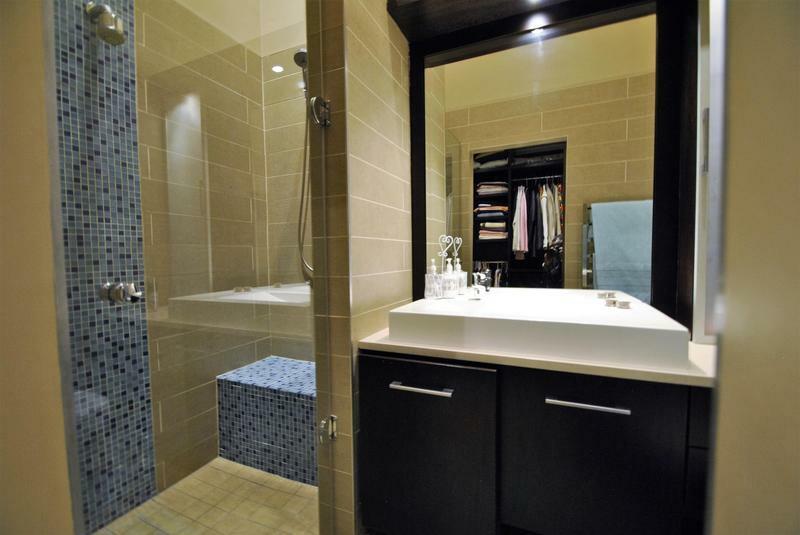 The high-end finishes have a mix of beautiful stone work, light and dark contrasts, elements and neutral colors. 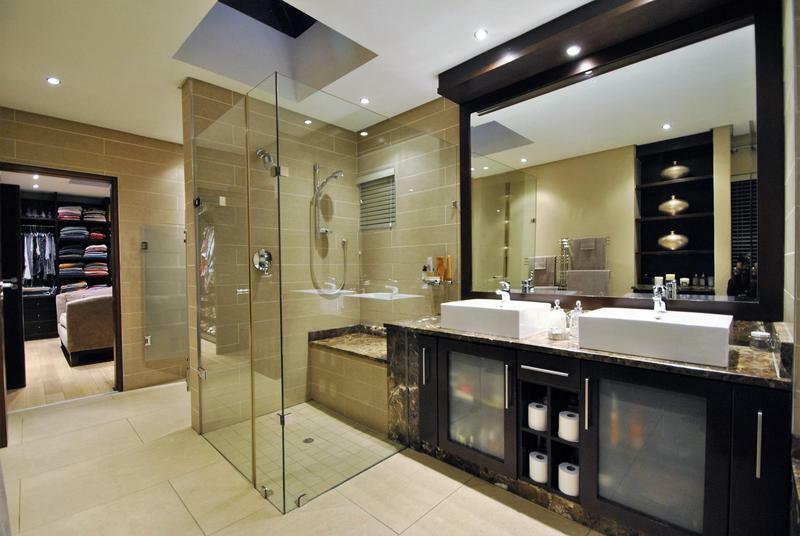 All of this lend to a timeless blemish free masterpiece with an easy flow. 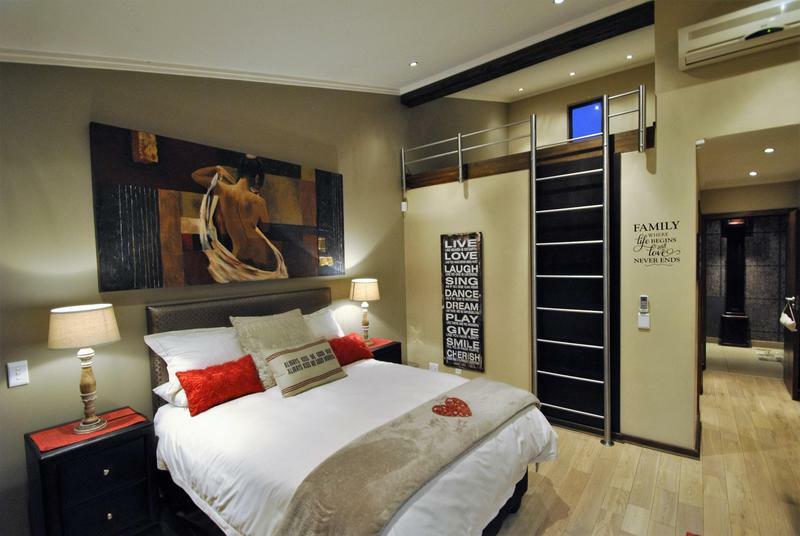 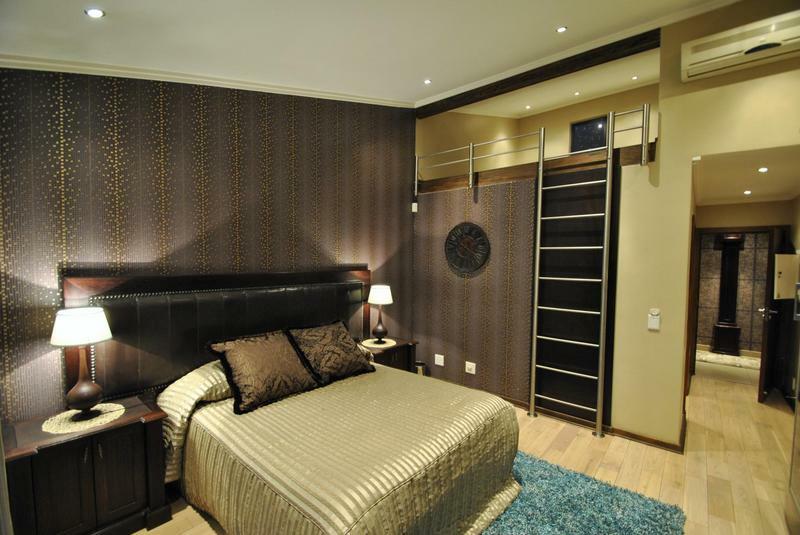 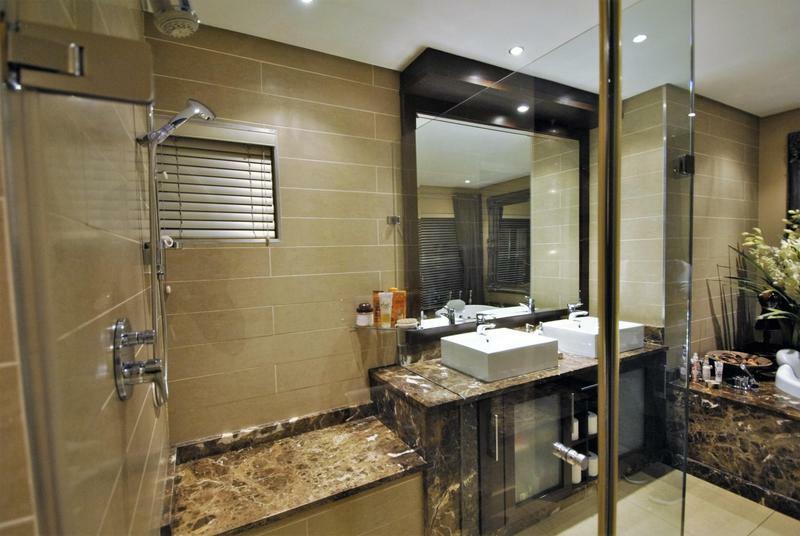 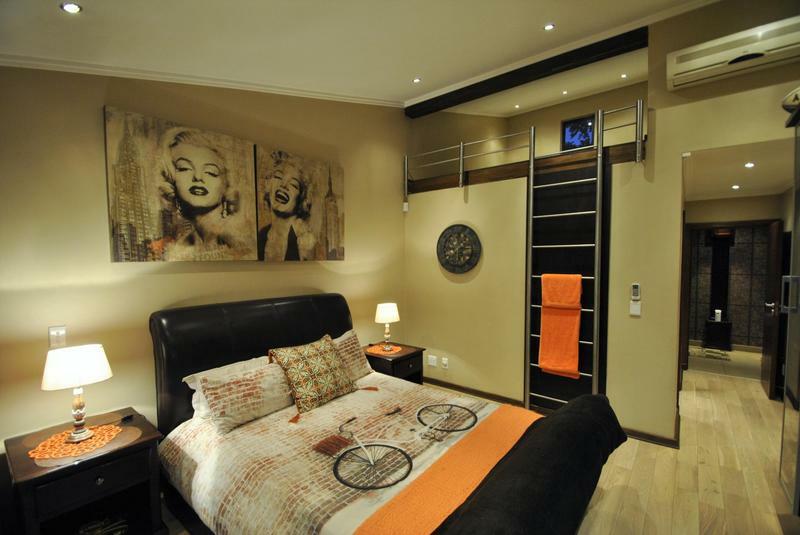 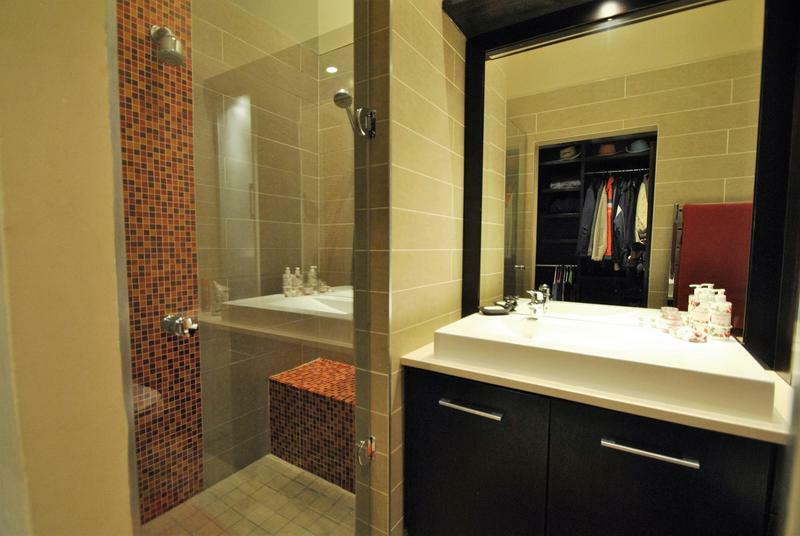 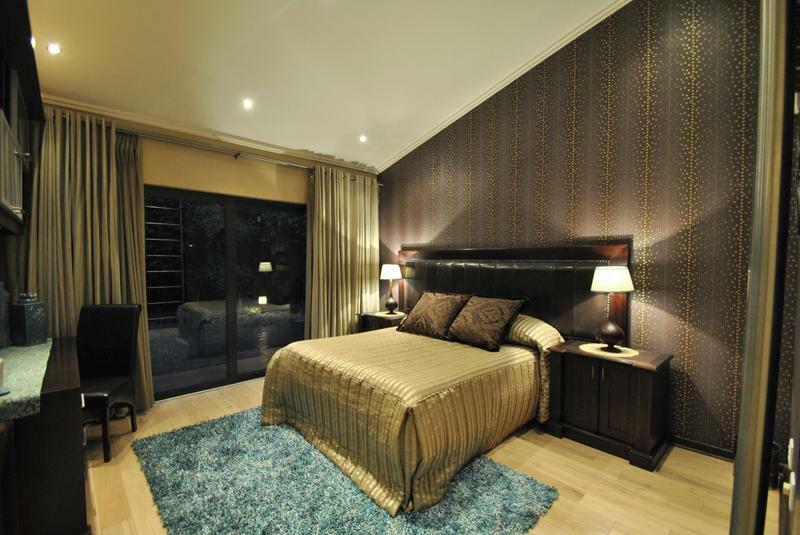 Accomodation includes 4 bedroom suites, all en-suite. 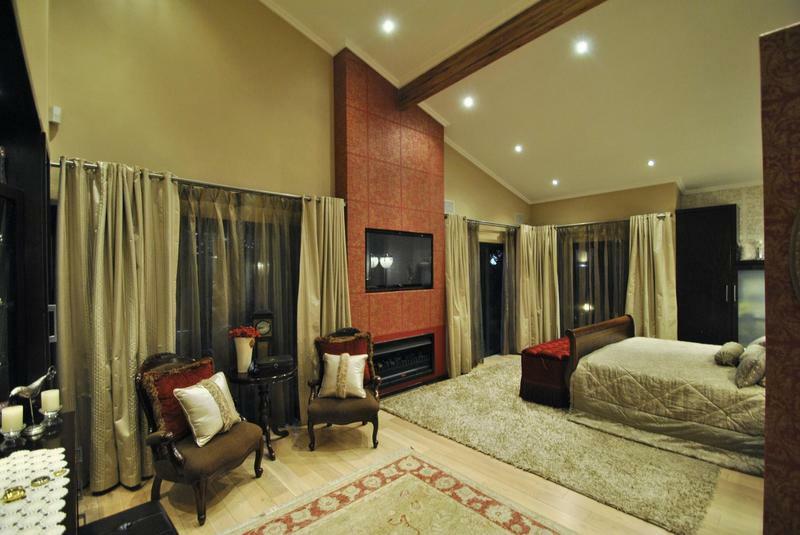 The home offers extras such as bar and entertainment room, guest bathroom, servants quarters, and a cottage. 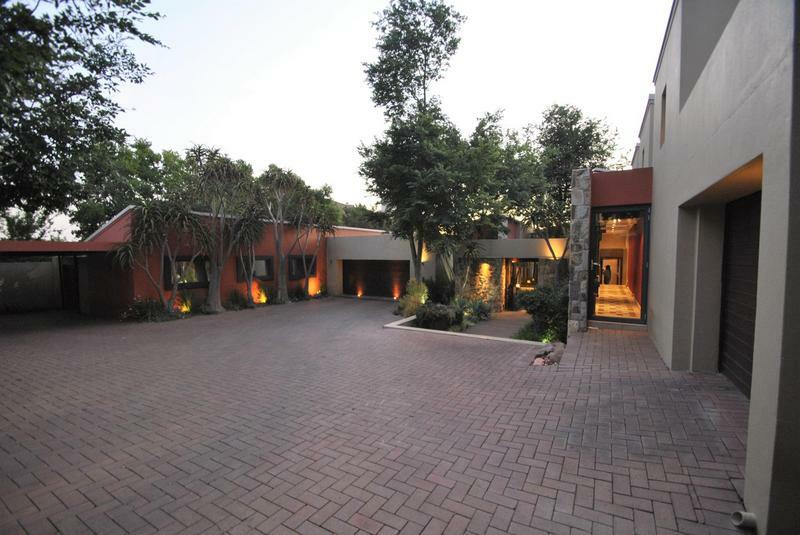 Topped off with garaging for 5 cars and ample parking space.